I’ve heard that the best thing to do when the world feels dark is to send out a little light of your own. Whether you visit nursing homes, give blood, feed the homeless, crochet blankets for the needy, or knit caps for preemies, doing something for someone else helps keep you connected to the world, helps you see the bigger picture, and just plain feels good. I want to introduce you to two amazing souls who are helping the world one animal at a time. Bob Krugmire fosters animals for three different shelters and rescue programs in the Denver metro area and provides photography services for Golden Retriever Rescue of the Rockies and Denver Boxer Rescue (in addition to several other non-profit organizations). Over the years, he’s welcomed into his home everything from puppies and kittens to ferrets and a scorpion. Most recently he even adopted a pair of sugar gliders! But of all of Bob’s animals, one pooch in particular has really captured my heart. I think you too will find him to be quite the charmer and a real inspiration. To put it simply, Brigh is vivacious. His energy and light surpass his foot-tall frame. Just to be in his presence is enough to make you smile. Because I can’t have pets at my apartment, I like to visit Bob’s crew to get my pet fix. I love sitting in his backyard and watching them all play together. Whenever I visit, Bob will invariably have a foster or two and often even a friend’s dog he’s pet sitting in addition to his own dogs (Bear, Brigh, and Bailey). I can’t get enough of them. What’s really cool is watching how Bob and his dogs help the newcomers to relax and feel at home. They’re like a dog-therapy team! The world needs more people like Bob. Talking with him for this interview reminded me that the key to happiness might very well be service. Use what brings you joy in life to lend joy to the lives of others. When I first met Brigh he was wearing a little red sweater. 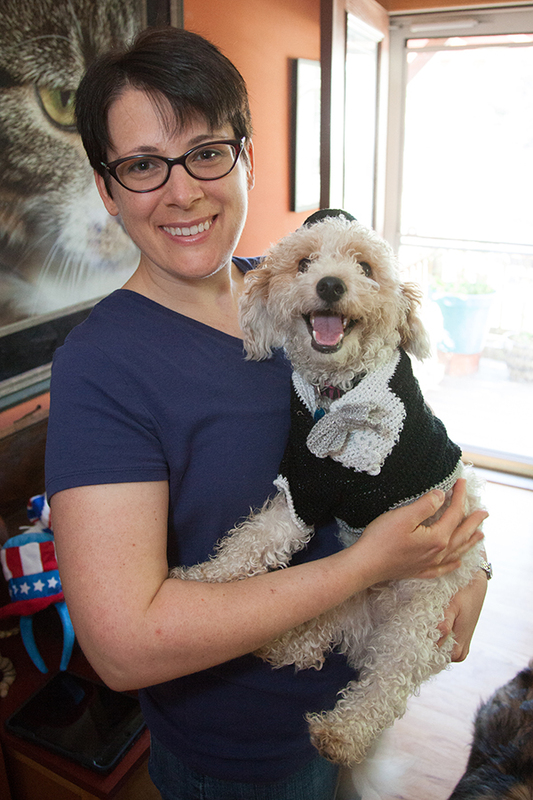 I know you won’t be surprised to hear that my reaction was “If anyone deserves a custom crochet sweater, it’s this little guy.” Because while Bob reaches out by fostering animals, I use crochet to help people smile. 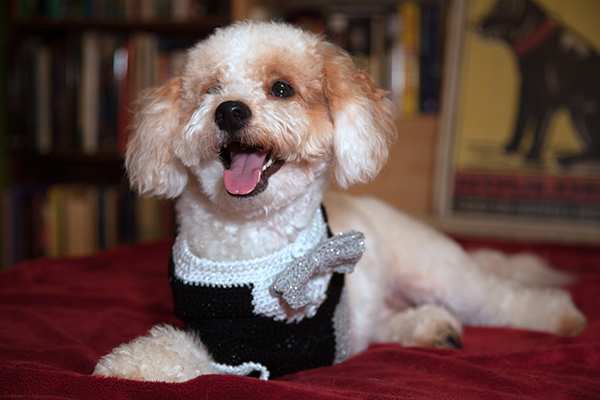 And don’t you think Brigh looks quite dapper in his new tuxedo? He’s ready for his next red carpet charity event! And finally, I asked Brigh a few interview questions too! What is your favorite game to play? What game do you really excel at? Other than your new tuxedo, of course, what is your favorite outfit? Bob is also an amazing photographer, specializing in animal portraits and macro photography. In fact, I recently took his macro class at the Butterfly Pavilion in Westminster, Colorado and I highly recommend it. You can check out his macro photography on Instagram at @faelgaulds and contact him for pet portraits at bobkrugmire@mac.com. Thanks to Bob for photographing Brigh for this story! Thanks Bob and Brigh for sharing your story with us! 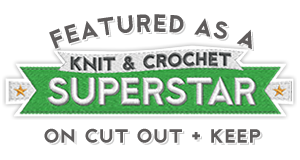 Categories: Crochet It, Friends | Tags: animal shelter, Bob Krugmire, crochet, diy, foster family, pet photography, rescue a pet, tuxedo for a dog | Permalink. What a great post, great dog, great peep, great pattern and great YOU! My Jack Russell would look even more handsome in that TUX! Your Jack Russell would look great in a tux! What an awesome idea. Pet clothes are such fun to make. Thanks for the fun fact, Margie! That’s awesome! I’d like to try out that thought for myself next time I wear a sweater. Cozy! 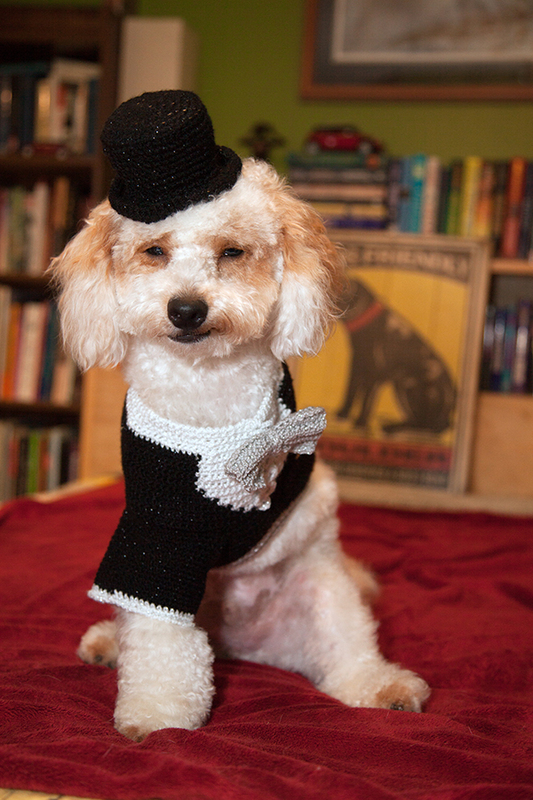 What a dapper little doggie! Now I wonder where I can find a couple of adorable little sugar gliders…. I know, they look so cute. I’m hoping to meet Bob’s sugar gliders in person someday soon, but that means I have to stay up past 8:00 and, well, that doesn’t happen very often. What a great story. Thanks for sharing it with us. Give Bob a big hug for being such a great guy. Thanks, D’Ann! I’m glad you enjoyed it. Bob really is a great guy. It was my pleasure to share his story with you. I’ll be sure to give him a big hug… and one for little Brigh, of course, too!